The Palestinian National Council (PNC) affirmed that our people continue their legendry steadfastness on the land of their fathers and grandfathers, firmly defend the steadfastness, determine their destiny and return to homeland to establish their independent state with Jerusalem as its capital. PNC in a statement issued on 29th of March 2019 on the occasion of the 43rd anniversary of the eternal Earth Day invoked the meaning of the sacrifice of our people in the 1948 lands, who sacrificed their lives for the land and adhering to it, that’s when the immaculate Palestinian blood was shed in the areas of Galilee, Almuthallath and Negev on March 1976, in response to the decision of the Israeli occupation to confiscate 21 thousand acres in those areas, whereby Israeli occupation killed six young Palestinians. PNC confirmed that the policy of ethnic cleansing against our people, pursued by Israel since 1948 has not succeeded in uprooting and displacing the Palestinians from their land, even Palestinian population in historic Palestine increased to reach about 6.5 million, of which about 1.7 million are in the Occupied Territories since 1948. PNC stressed that all the acts of occupation, and by occupying of the territories of the State of Palestine, starting from the expropriation of land, and the building of settlements on it, in presence of the protection and partnership of Trump Administration, is an attack against international law and the resolutions of international legitimacy. The latest is the violation of Security Council resolution 2334. Establishing settlements in the Palestinian occupied territories is a war crime, because it violates the resolutions, and violates Hague Convention of 1907, and the Fourth Geneva Convention of 1949. PNC reiterated that the decision of the American administration to transfer its embassy to Jerusalem is null and void, as it takes place on occupied Palestinian lands, and the Israeli legislation for to establish settlements on the occupied Palestinian territories is completely illegitimate. PNC called on the upcoming Arab Summit to address the Trump policies and decisions and protect the Palestinian and Arab lands. 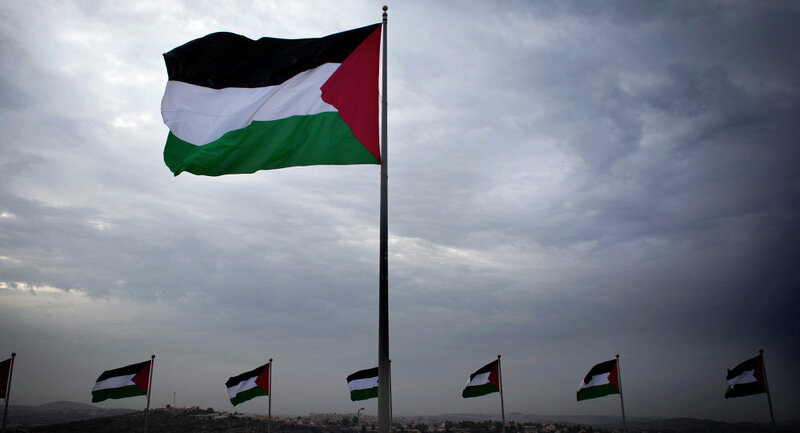 PNC called on the United Nations and its institutions to implement its resolutions on the Palestinian issue, which exceeded 700 resolutions which aim to commit Israel to end its occupation of Palestine, stop its organized crimes and enable the Palestinian people to self-determination and return to their land. PNC renewed its demand for the Inter-Parliamentary Union (IPU) to condemn the Israeli Occupation Parliament, the Knesset, which regulates the theft of the occupied Palestinian land, expelling its legitimate owners and building settlements under its racist laws, foremost of which is the "Settlement" Law, approved in February 2017 and legalizes the theft of Palestinian land. This law is a full-fledged crime. PNC concluded its statement by stressing that our people everywhere are determined to get rid of the occupation and defend their rights, and pay tribute to the souls of the martyrs. The last is the martyr Sajid Abdul Hakim Mezher, 17 years old, the medic who was killed in Dheisheh Camp in Bethlehem. It should be noted that the Israeli occupation exploits by force more than 85% of the historical area of Palestine, amounting to about 27 thousand Square kilometers, while the proportion of Palestinian population currently is 48% of the total population in historic Palestine. The number of Jewish settlers in the occupied West Bank reached 653,621 settlers by the end of 2017. The colonial sites and the Israeli military bases reached at the end of 2017 in the West Bank 435 sites, of which 150 settlements and 116 outposts, and the rest are Military bases and others.